Today marks the final day of Bilbao BBK Live, and the line-up is full of bands and artists that are on their way to doing exceptional things. Unlike the previous two days where the headliners were almost definitely there to bring the crowds in, today seems to have a sole focus on (sort of) new and upcoming acts. The first on everyone's list is Courtney Barnett; the cool as a cucumber Aussie singer-songwriter that seems to hold a place in everyone's heart, and for good reason. Her debut album was tremendous, and her live show is effortlessly brilliant. The slacker-punk, alt-rock venom of 'Pedestrian At Best' and 'Elevator Operator' sound perfect when basking in the gorgeous sun in Spain. That, alongside the cartoon animated backdrop which goes hand in hand with Courtney's laid-back style, on top of the huge crowd turn-out, hints at bigger and better things to come from Miss Barnett, and we can't wait. Up next is the man of every moment, Father John Misty. For you to begin to imagine how jaw-dropping this performance was, you need to muster up an image of a big stage, a clear-blue sky, an outline of a mountain glistening in the sun behind the stage, and then add the talent of FJM and his heart-wrenching folky, bluesy pop that serenades the captivated audience; then you might be able to slightly understand how powerful his set was. The guys' give-it-all-or-nothing approach to the live show, his unexpected humorous stage presence and his ability to send chills down your spine as well as paint a massive smile on your face, makes him a true performer who has the ability to form a memory that will forever be etched in your mind. 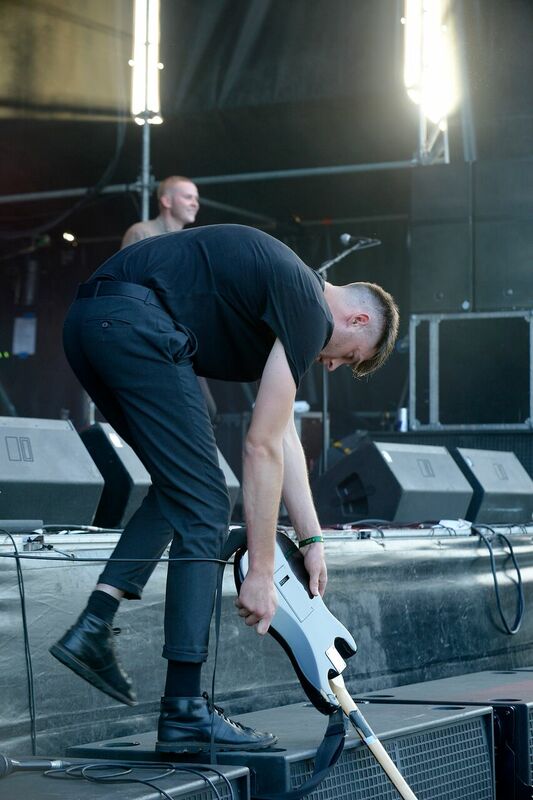 From the alluring to the aggressive, the next band to cause a stir is Bad Breeding. Hailing from Stevenage, Bad Breeding are a full-frontal, no holding back, thrash-punk band that are utterly brilliant. Their live set is a constant whirring of fierce, searing noise that they somehow make pleasing. It might not be accessible on a mass scale, but staying true to their roots will build a name for the band, as well as gain them the respect from stubborn musos. Tame Impala have always and will forever be, the band of the summer, and with the release of the impeccable, Currents, this year bodes no different. These guys have been going for nearly a decade, and have been building their reputation slowly but surely, maintaining status as the coolest psych band of the past ten years. By flooding the audience with a shower full of lights as they burst on stage to 'Nangs', Tame Impala's live show becomes a full body experience. Their chilled out vibes and the wall-to-wall setlist of bangers makes this undeniably the set of the weekend. Whacking out 'The Less I Know The Better' and 'Daffodils' one after the other, Kevin Parker proves that he is wholeheartedly guilty of creating totally addictive basslines that get a crowd dancing like something I've not seen before. 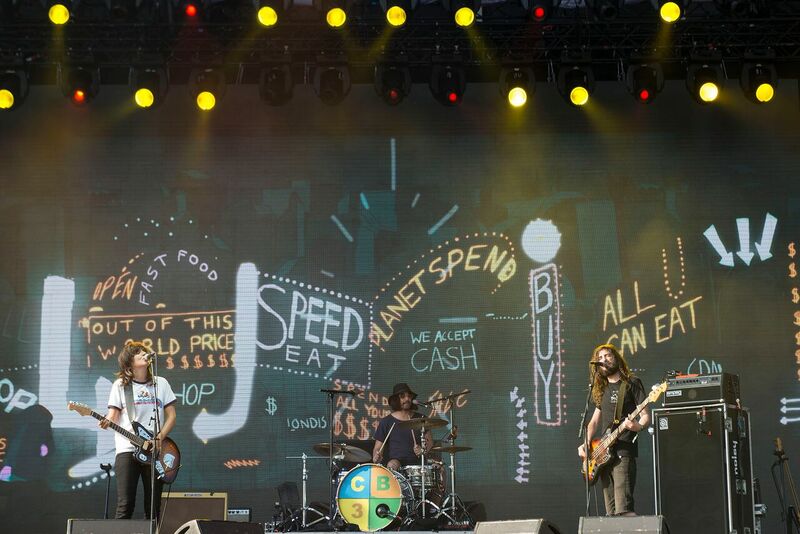 There is no doubt that next year these guys will be all over headline slots. Finally, to round off the weekend, it's Foals. Since the announcement that Foals will be co-headlining Reading & Leeds festival with Disclosure; there's been a flicker of doubt over whether they're ready for it or not. Yes, they've got the albums, they've got the experience - but that doesn't necessarily mean they're ready to headline a festival with a capacity of 80,000 people. Yet, the five boys from Oxford truly out-do themselves with their set at Bilbao. As soon as the infamous 'My Number' kicks in, a frenzied reaction from the cult following at the front appears, injecting a buzz into those in close proximity. From their latest album, to their debut, every track is received with the same level of anticipation as the next, and despite their shift from math-rock to a more indie sound in recent years, their tracks have not aged at all. Add to that their extraordinary ability to transform from an intimidating lion during 'Providence', to a tiny mouse for 'Spanish Sahara'; Foals have really got it all. If this set is a taster as to what's to come at Reading & Leeds, I'll be right at the front for sure. 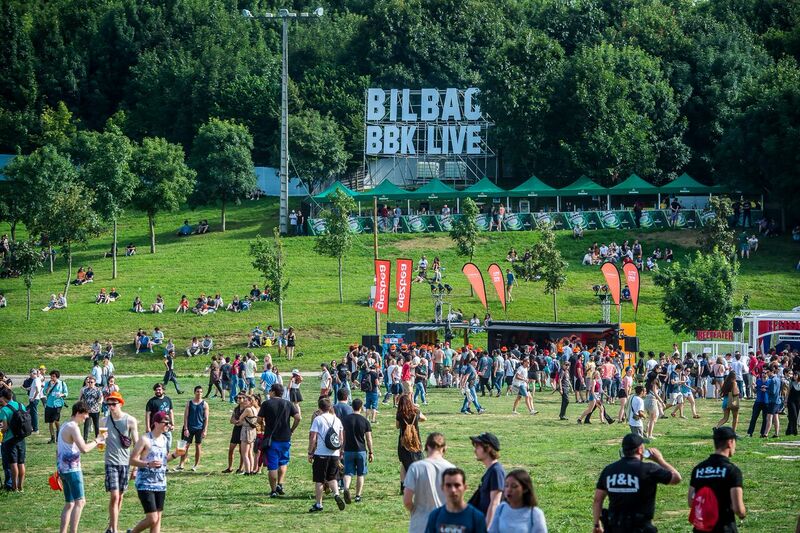 The past three days at Bilbao BBK Live have been exceptional; everything from the perfectly curated line-up, to the scenic views and the festival as a whole, puts it leagues in front of any UK festival I've been to before. We'll definitely be back next year.